The following is a simple but effective technique for adding morning sunbeams to your images. 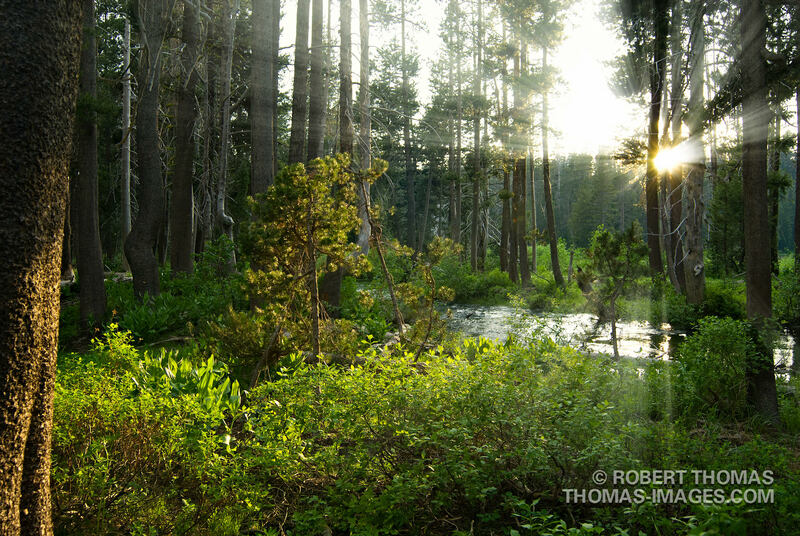 For this technique it’s best to start with an image that has the sun rising up behind trees, through fog, or through some other subject. Look for a photo that makes you think to yourself “Geez, I wish I captured those sunbeams I saw when I took this picture!” That being said, let me also mention that it’s always best to capture your sunbeams in-camera—but when you miss’em, you can always fall back on this technique. Below is the image I used for this tutorial. The image has already been enhanced by applying a custom DNG profile created using X-Rite Photo’s ColorChecker Passport. I also adjusted the contrast, applied a bit of warming to give it more of that “early morning” look, and sharpened the image for display on a screen. Duplicate the Color Channel with the most contrast between the sky and the trees. Fill this channel with Black and set the Blending Mode set to Overlay. Fill this channel again with White and set the Blending Mode set to Overlay. Repeat the last Fill 2 to 3 more times until all of the grays turn white. Cmd+Click [PC: Ctrl+Click] on the layer to load it as a selection. 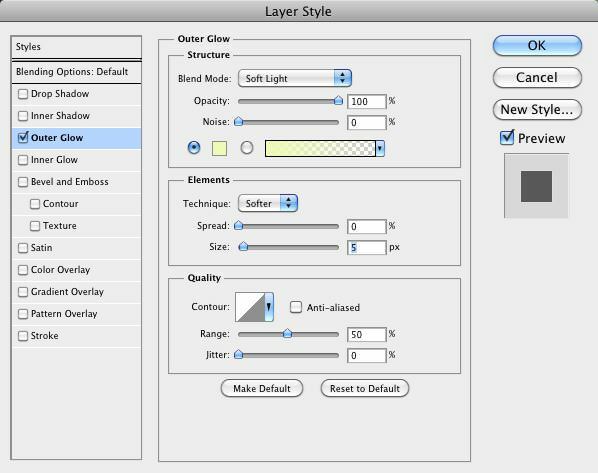 Create a new layer and fill with White and the Blending Mode set to Normal. Cmd+D [PC: Ctrl+D] to deselect. 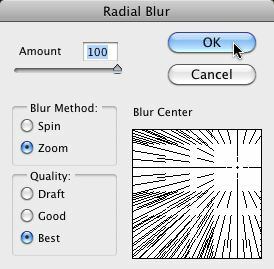 Apply a Radial Blur set to 100%, Zoom, and Best. Apply an Outer Glow set to Soft Light, 100% Opacity, Default Yellow, and Size of 5px. Select an image that already has the sun peeking throuth objects. You may want to postpone sharpening the image until after the sunbeams are added. Because I prefer softer sunbeams, I applied sharpening before adding the sunbeams. Open the image in Photoshop, and cycle through the various color channels to determine which channel has the highest contrast between the sky and the trees (or other objects in your image). With the duplicate color channel selected, select Edit > Fill (or use Shift+Delete). Set the “Use” color to Black, the “Blending” mode to “Overlay,” and “Opacity” to 100%. Click “OK.” This will force any of the darker gray areas to black. 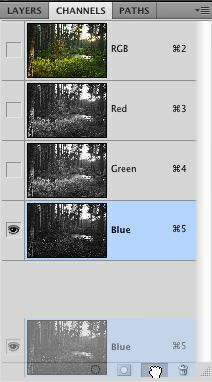 With the duplicate color channel still selected, select Edit > Fill again. This time set the “Use” color to White, leave the “Blending” mode set to “Overlay,” and “Opacity”set to 100%. Click “OK. This will make most of the gray in the sky turn white. You may need to repeat this step two or three more times to convert all of the grays to white. This technique will only affect the light gray areas of the image, and should leave the black areas alone. Cmd+Click (PC: Ctrl+Click) on the duplicate channel to load it as a selection—this will only load the white areas of the channel as a selection. When you do this, you will see the “marching ants” appear on the image. Return to the Layers panel and create a new empty layer above the current working layer by pressing Cmd+Shift+N (PC: Ctrl+Shift+N), or click on the new layer icon. With this new layer selected, select Edit > Fill once again. In the Fill dialog box, set the “Use” color to white and change the blending mode to “Normal,” and click “OK.” Hit Cmd+D (PC: Ctrl+D) to deselect the selection (removes the marching ants). The easiest and most accurate way to get the blur aligned properly is to run an intermediate Blurring step before adding the actual sunbeams. Next drag in the grid to move the center point to the correct location on the blur grid (give it your best guess). Click “OK” when you think everything set setup properly. Once the blur has been applied, you’ll see how good you did on your guess for placing the blur. Once you’ve applied a satisfactory blur, you may notice that the sunbeams look a little rough and faint. 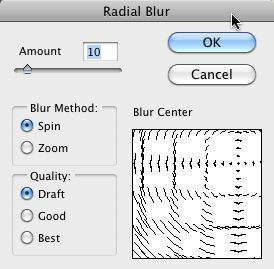 Reapply the blur one or two more times by pressing Cmd+F (PC: Ctrl+F) until you get effect you’re looking for. 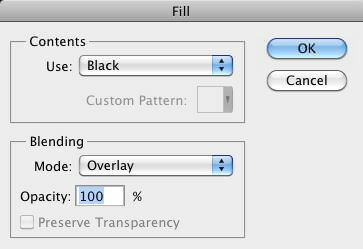 In the Layer Style dialog box, select the “Preview” check box, and set the blend mode for this effect to “Soft Light,” and set the Opacity to 100%. The default yellow color will work fine for this effect. Set the size set to 5px, or increase it if you want a softer glow. This is a great time to experiment, so explore the other settings for the blend mode, opacity, etc. Click “OK” when you’re done making your selections. If the sunbeams aren’t intense enough, try “jumping” (duplicating) the layer by using Cmd+J (PC: Ctrl+J). This will double the effect. If the effect is too strong after jumping it, you can always lower the opacity of the layer. You may notice that some of the sunbeams are rolling over the front/shady areas of the trees, which makes the entire sunbeam effect look artificial. To correct this problem, add white layer mask and paint over the problem areas using a soft black brush (be sure the mask is selected before you start painting). To paint on the mask, first click on the mask, then hit “D” to load the default color pallets, then hit “X” to reverse the color pallets, then hit “B” to select the Brush Tool. Set the “Opacity” and “Flow” for the brush to 100% and begin painting on the mask. If you choose a brush flow setting below 100%, or if you are using a Wacom tablet, you might want to double the intensity of the layer mask by copying it to other layers that don’t already have a mask. To copy a mask, Option+Drag the finished mask to one of the other sunbeam layers. Don’t forget you also have the option of manipulating the mask using the Mask dialog box. That’s it! Feel free to experiment with different layer opacity settings to get the desired effect. Really nice tutorial… I love this effect and will try it out for myself. Thanks for sharing. Thanks Ed! Glad you enjoyed it!